Avionics, Information Systems and Software Engineer, Gilles is the Manager of the Google Developer Group in Abomey-Calavi and Manager of the Research and Education Network in Benin. This young leader and innovation catalyst is actively involved in the Benin digital ecosystem, sharing his time between his OPEN SI startup, his community engagements, the future luanch of his SolidarIT TechHub digital incubator and his research activities dedicated to adressing local development challenges with the use of digital technology. Java et Open Source evangelist, Gilles teaches children to develop mobile applications from a very young age. He works hard to make ICT curriculums pivotal in the education system and develop a value-generating digital ecosystem in Benin. Gilles holds a degree from the Ecole Royale de l'Air de Marrakech and from the Institut de Mathématiques et de Sciences Physiques (Abomey-Calavi University in Benin). Moise is passionate about youth empowerment. 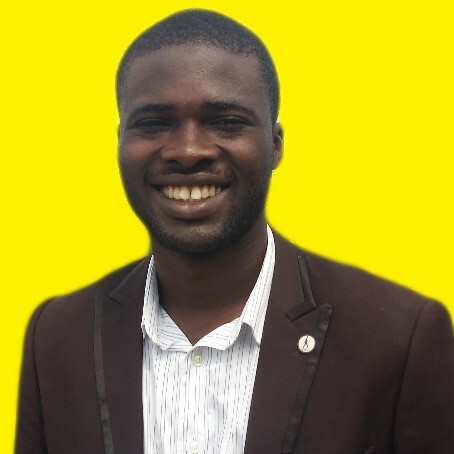 He is currently a Partner and External Relations Director of AIESEC in Benin, an international movement that enables youth to explore and develop their leadership potential. He is also Y4GG Campaign Director for West Africa, which is a campaign lead by AIESEC to mobilize youth around achieveing the UN Sustainable Development Goals. Moise has a degree in Transport and Logistic Management. A Telecommunications Systems and Network Engineer graduated from the Dakar Polytechnic University, Namaou currently leads the famous KidsLab at Jokkolabs Dakar, where she designs learning cycles that merge the digital, robotics and creativity realms.